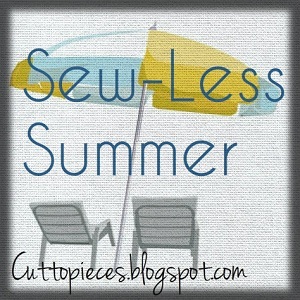 I'm over at Cut to Pieces today, guest blogging as part of Angela's Sew-Less Summer series! Have I been sewing less this summer than usual? Absolutely. Besides keeping up with bee blocks and making a few summer dresses, I haven't had it in me to cut out a new quilt projects. But that's the beauty of sewing. It's always there for you to pick back up when you are ready to dive in.